I forced the verbal/visual combination here. 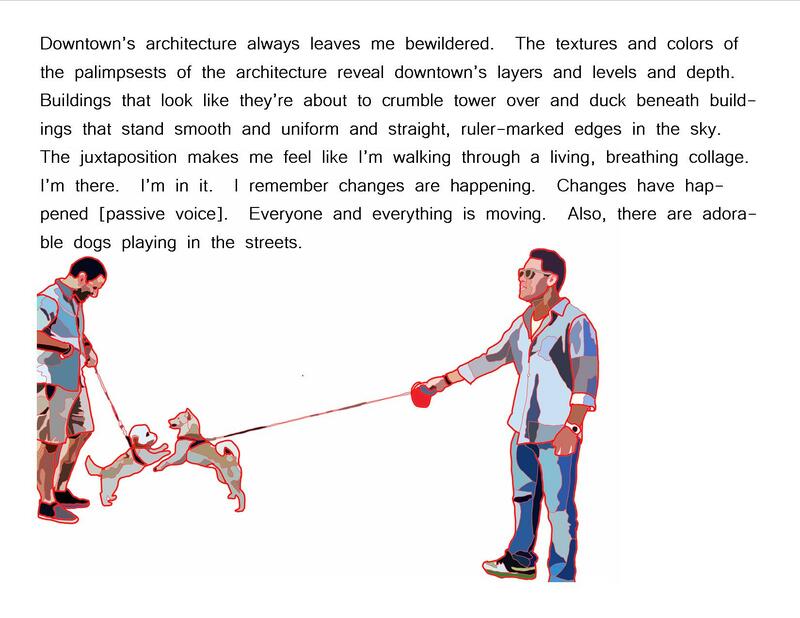 If anyone asks, the odd pairing of dogs and a discussion of buildings is purposeful. The irony matches that of the architectural landscape of LA. On an unrelated note, I need to work on drawing images that contribute relevant information to the text I write. Dogs and their owners. Wouldn’t it be strange if people behaved like dogs and dogs like people? The dogs standing around looking all snooty, deserted by their owners, who are rolling around in a heap on the grass. I have this unsettling feeling that every weird idea came from seeing a New Yorker cartoon. This may one. Love to draw it except that I’m crap at drawing, but I’ll look for existing images I can put together. If you have the skills, go for it and credit me with the idea. I’m good with the verbal/visual…but then I love dogs (no surprise there).